Our team is always ready to FIGHT on your side!!! We are event professionals with years of experience. We are proud of our level of service. We are young and energetic. TRY US! 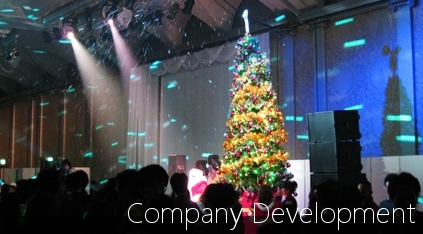 English Company Name Event21 Co., Ltd. Thank you very much for checking out our website! My name is Tang Phu Khanh and I'm working in the Vietnamese office of Event21. With the support of Event21 your company will be able to open doors to Japanese goods, like these masu cups, that are otherwise inaccessible or overpriced. The most important thing that I would like to care for in my work is "prestige". Trust us and your'll find yourself a strong business partner. Our customers' happiness will always be our happiness! 2011-12　Office remodelig, expansion. Now we have 2 times the space. 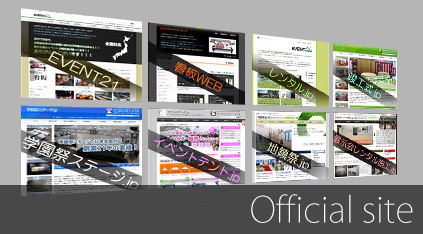 Thank your very much for visiting our website. Well, I think that it would be the least interesting if I would tell you a conventional greeting, so in order to introduce you some of the things that are important to us besides working for customers, let me be a little audacious as to tell you some stories from the time when I was wandering around the world. When I was travelling in Bangladesh, I met a young boy. "Where are you from?" he asked me. His face suddenly turned into a glittering smile. "I like Japan! Really like!" he said. I felt it very strange that a young boy dressed in worn-out clothes in country that is so far away from my home loves Japan so much. (clients, employees, local surroundings, partner companies etc). operating without bearing the burden of any loans! 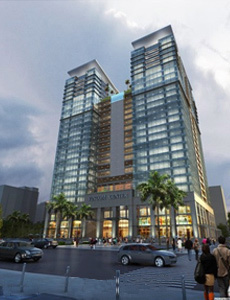 Office information: the site area is appr. 265 m2 and it's a 2 floor building. Parking place for 4 cars is located on the rear side of the building. Kinki Nippon Tourist Co., Ltd.
Konami Sports & Life Co., Ltd.
KUMON EDUCATIONAL JAPAN CO., LTD.
KYOCERA COMMUNICATION SYSTEMS Co., Ltd.
Mizuho Investors Securities Co., Ltd.
Nomura Total Service Co., Ltd.
OSAKA GAS BUSINESS CREATE Co., Ltd.
Panasonic Information Technology Solutions Co., Ltd.
Skynet Asia Airways Co., Ltd.
SURVEY RESEARCH CENTER CO., LTD.
Tokai Rolling Stock & Machinery Co., Ltd.
Wakayama Mainichi Advertising Co., Ltd.
■ Please let us introduce a portion of the events that we have had the honor to engage in. Commemoration walk for the birth of Hankyu Hanshin Holdings, Inc. The New Year Event of the Ginza Main Store of Tiffany & Co., Ltd. Cooking Show of Osaka Gas Co., Ltd. Besides the above mentioned scenes, we have successfully set up countless others. You could entrust us with both large and small scale events alike! "The fact that on a yearly basis we are supporting the success of thousand of events is our pride." A small smile is a big reward for our efforts! 1. Aid for the reconstructions after the Tohoku earthquake. 2. Support for working mothers. We aim to assist the work-life balance of women by employing mothers. 3. Our company is periodically admitting handicapped students to do workplace training at our company. 4. 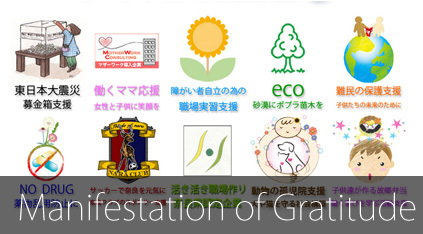 Global environment preservation, support for the ecological methods. 5. Support and care for the refugees who are living in poverty in the middle of war. 6. Helping the rehabilitation of drug and alcohol addicts. 7. We are an official sponsor of the "Nara Club" soccer team, that is aiming to raise up to the J. League. 8. 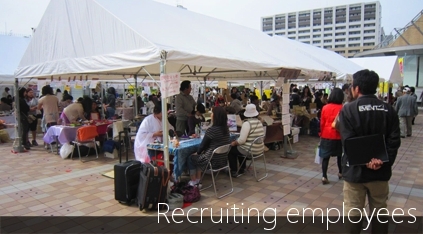 We have been officially recognized by Nara Prefecture as an enterprise promoting the creation of a pleasant work environment. 9. Event21 is periodically visiting an animal shelter, donating pet food and though our events we are gathering support for the animals. 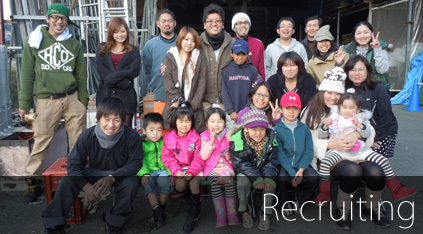 10.Sponsoring a project called "Yamanobe no Michi Bento Sales Project 2012" teaching ground school children many practical skills. 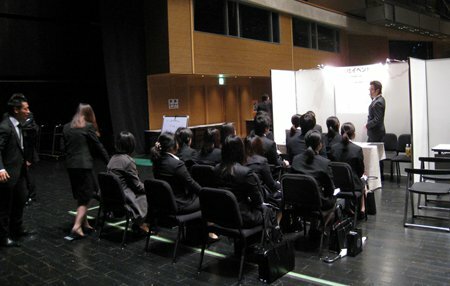 A scene from our company information session for new graduates in 2011. We, Event21 are seriously performing activities in order to contribute to the society every single day. To put it simply "contribution to society" is to "make our surroundings happy". In other words, creating happiness is what "contribution to society" really means. Event21 has three policies for making the world more happy. 1. Offering services that will make the world more convenient. = Achieving results that make our customers say: "I'm really glad that there is an Event21!" 2. Continously maintaining a balance in the black, paying our taxes without fail. = It will change into textbooks of primary schools, fire engines, hospital supplies. 3. 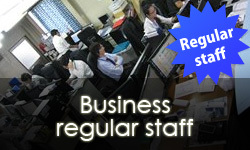 Sustaining and creating long term employment, establishing a high quality work environment. =　Protecting and increasing the stability of the living of our employees and their families, making their lives more abundant. Profit is essential for all of these. The world couldn't be made happier without profit. This way, by doing our best in our work every single day, we are contributing to the world society. 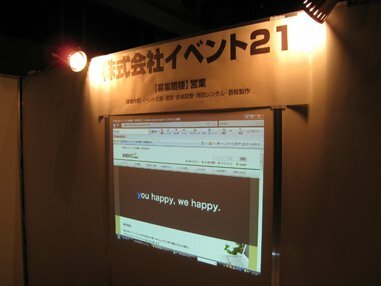 in the principle(=values, ideas) of Event21, we have the following idiom: "you happy, we happy"
It bears a simple meaning that "your happiness, is the very happiness we desire". 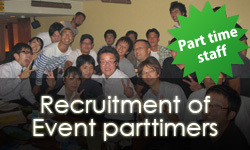 It derives straight from this principle that I would like to make all the employees who are working for Event21 more and more happy. This is the value that fills this company with life. Therefore I'm constantly thinking about how to make Event21 an even better company. 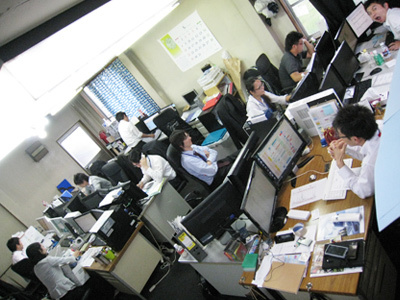 I belive that a company is a good one, if the employees have pride in their work and they feel it to be meaningful. Furthermore, employees have their own dreams concerning the company's future prospects, and along with that they are living a full life, spending time with their families, lovers, hobbies etc. I believe that's what it takes to be a good company, that's what abundant life really means. The mission of Event21 is neither pursuing its own profit, nor pursuing others benefit. What Event21 is indeed looking for the most are colleagues, who could share our view that all things are interconnected, who could feel joy and pride through creating happiness and could do their best for this common goal. 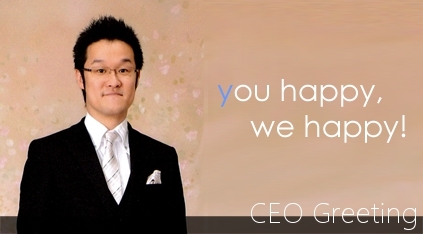 Mr. Aiichiro Nakano of Event21 Co., Ltd. This is our the 1st website of our company. We are creating quotations based on the information that our dear customers give us by filling out the quotation form on our website. Among all the websites out there, our company is always first in updating our websites with the newest products and services. 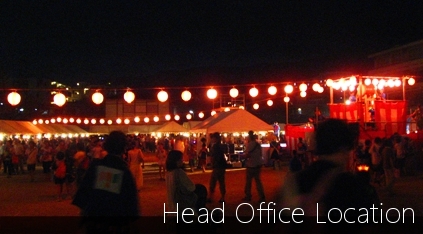 We are offering event management services, items classified by each event type, the newest event or Japan related items for sale, rental items and are continously expanding our range of products and services by various new options! This is the 2nd website of our company, specialized on the design, creation of quality signboards and sign stands for long term use, signboard illuminations and sign sales. All the signboards that we are offering to our dear customers are made by first class makers! The signs are printed on materials, which have such a high quality and durability that the signs could withstand many years of service, if not last forever! 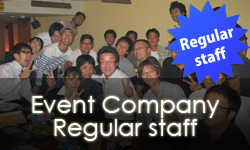 This is the 3rd website of our company, specialized on the rental of event management related equipment. On this site, you could choose which items you would like to rent, put them into the shopping cart and finally click to get a quotation from us for your entire selection. This site is constructed to be very easy to use, perfectly convenient. This is the 4th website of our company, specialized on construction completion ceremonies. We are providing all the information that is needed for the success of a ceremony. Announcement party, ribbon cut, kusudama opening are just some examples from our entire repertoire. Feel free to ask us anything regarding the necessary equipment, the process of the ceremony or anything else! This is the 5th website of our company. It provides information on campus festivals, school festivals and stage construction. Food and drink stalls, acoustics, stage lighting, signboards, tents are some of the items and equipment that we are offering! Moreover, you could be even more carefree by leaving your planning, organizing, site construction management and everything else to our staff! This is the 6th website of our company, providing a wide range of information on event tents and tent events. We are offering a broad variety of tents that are all made by Japanese manufacturers in an extensive range of set-up difficulty, durability and price. Do you happen to be considering the purchase of some tents that the professional event organizers use? Try discussing it with us! This is the 7th website of our company, focused on offering valuable information on the management of a ground-breaking ceremony. The most necessary equipment is: altars, simple shrines, offering stands etc. 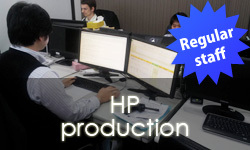 You could find low, mid, high scale/cost sample plans here as a reference. 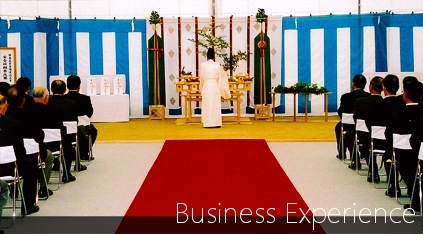 Our company could even introduce you a shinto priest, who could conduct the ceremony, an MC and we could even get you the necessary offerings. Let's pray to the local deity for the safety of the construction works and the prosperity of the area afterwards in the proper way. The Masu selling company is shipping masu cups to customers both in Japan and worldwide. Recently we are getting more and more orders from not just individuals, but organizations, Japanese restaurants, international companies making a business opening ceremony Japanese style by opening a barrel of sake and drinking its contents from masu cups. An excellent way of drinking Japanese sake is to do it from a freshly made masu cup. That may be the reason why Japanese people cherish a rather intimate connection with these small wooden boxes from the old times. We would like to share the best parts of traditional Japanese culture with as much people around the globe as possible. 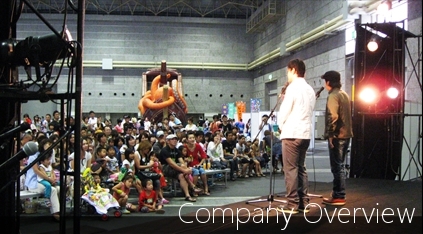 The masu Selling Company produced by Event21 Co.,Ltd. Copyright(C) 2000- All Rights Reserved.